Dedicated to compassionate veterinary care for your family pets. Dr. Robert Rickords and his team are committed to bringing you and your pets better health by practicing the science of Veterinary Medicine. 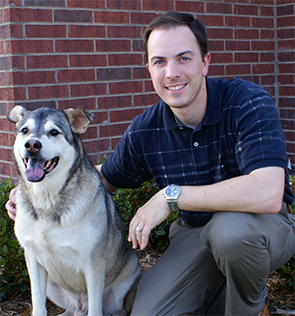 North Fort Worth / Saginaw based, Rickords Animal Hospital was founded in the Spring of 2008. Before then, Dr. Rickords was performing veterinarian medicine and compassionate animal care in the Arlington and Mansfield area. Rickords Animal Hospital is a full-service Animal Hospital whose mission is to provide the highest standard of quality and compassion in veterinary care for our patients and welcoming, informative, and supportive service for our clients, while maintaining a superior working environment for our employees. Rickords Animal Hospital welcomes emergencies in addition to standard medical, surgical, and dental veterinary care. Because we have an in-house pharmacy, lab, radiology facilities, Intensive Care Unit, Boarding and Grooming, our facility enables you to make one stop for your pet's medical care. We are open for appointments during normal business hours, evenings, Saturdays, and Sundays. We are always available in an emergency, just call or come in.